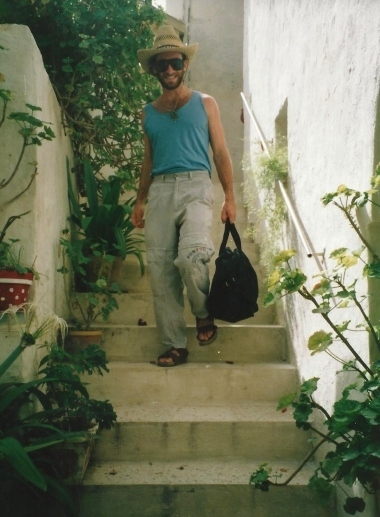 I decided to take a weeklong vacation with my then girlfriend in 1990. 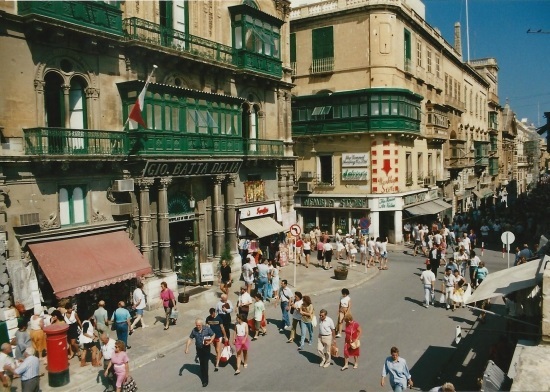 We had planned to go to Turkey but with the risk of the borders getting closed due to the first Gulf War happening in neighboring Iraq, we opted to go to Malta instead. 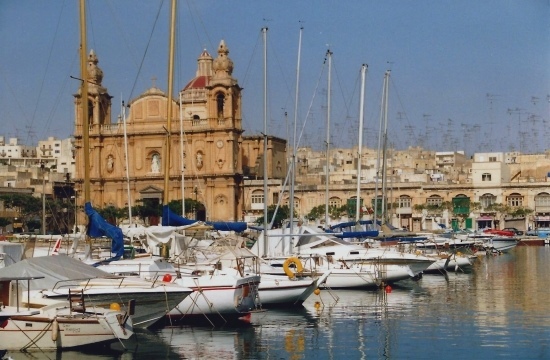 It’s a Mediterranean island, south of Sicily that has been influenced by numerous cultures. 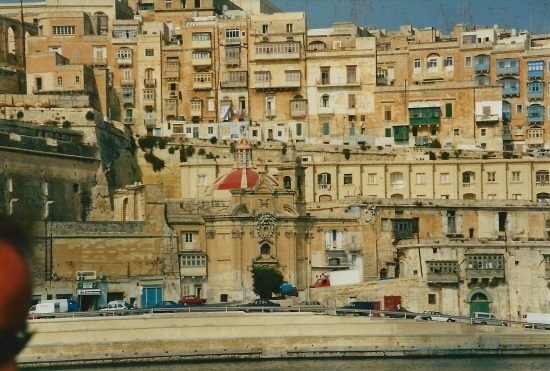 From the airport we took a taxi to the capital city of Valletta, which is on a hilly peninsula sticking out within a large bay. It is covered with so many ancient buildings tiered on top of each other that one hardly needs to ask where the “old town” section is; it’s ALL old. 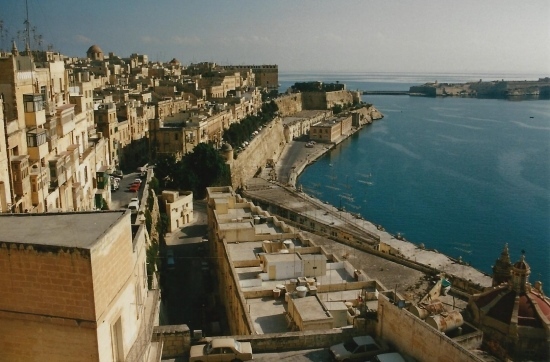 In most coastal places, the direction of the water gives you orientation but in Valletta, there is water virtually every direction if you go far enough. Our taxi driver tried to use this difficulty of orientation to cheat us. Instead of the requested hotel, he took us somewhere else. We didn’t know where we were – just that this wasn’t the hotel we asked for. He grudgingly drove us kilometers all the way back around the peninsula and finally to our intended hotel that turned out to be just 100 meters up the street from the first one. I was openly swearing at him and don’t think I paid the whole fare as he claimed that it was the only way to get there “because it was a one way street”. 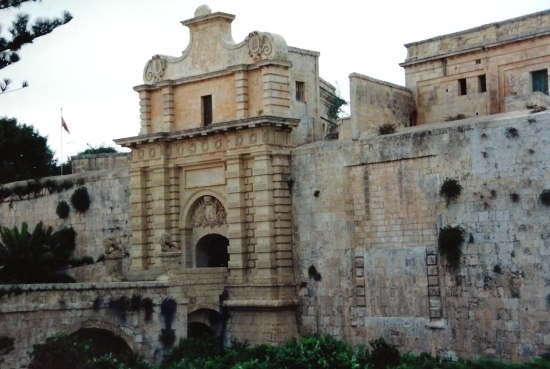 As Malta is a seafaring crossroads it was fought over by many groups resulting not only in numerous forts but much of it is surrounded by ramparts for defense. To both sides of the peninsula are large natural harbors, the main one appropriately called Grand Harbor. There are boats of all kinds here. 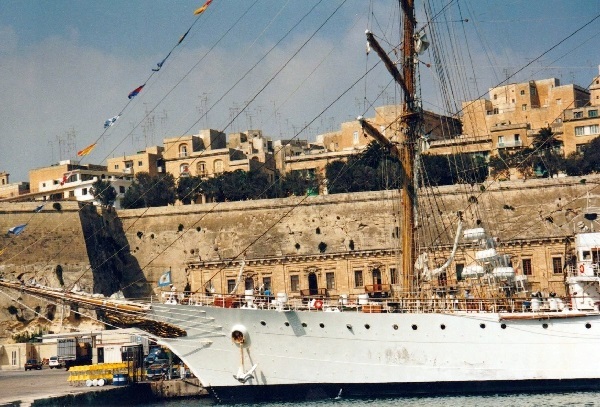 Sailing boats, old wooden fishing boats to large cargo ships. 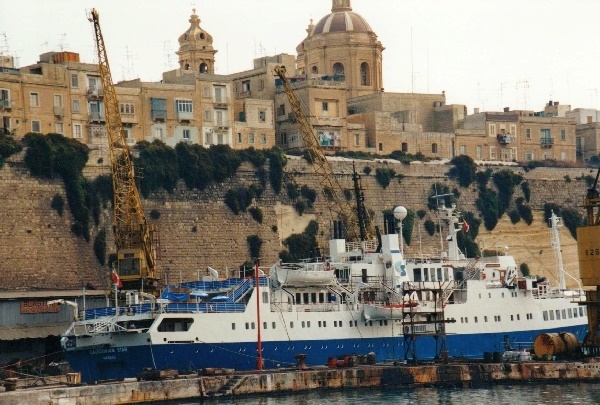 There were also cruise ships that came into port here. The interesting thing about this one was the Soviet symbol as the Soviet Union broke up the following year. Not sure who was allowed on such cruises as much of Western Europe was not considered an appropriate destination for Soviet tourists back then. 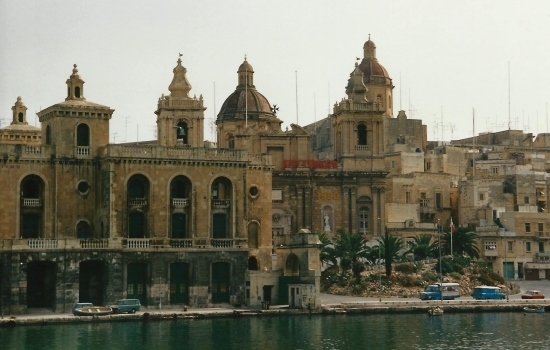 But Malta seemed to stay out of the cold war political conflicts. In the harbor they had a huge port facility for loading/unloading cargo that was said to have been built by the Chinese – back when Chinese companies were hardly active on an international level. Other ships like the large sailing ship were docked along the waterfront outside of the harbors. 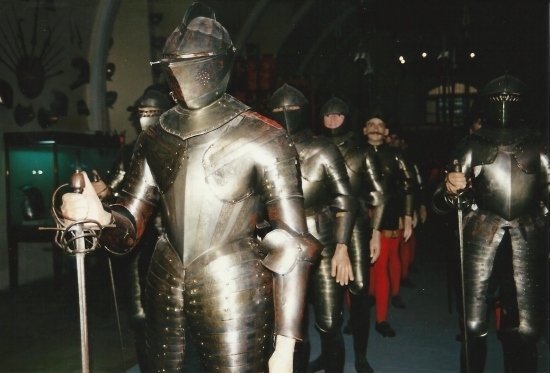 In the Grandmaster’s Palace is an armory museum with one of the world’s best collections of armor and armaments. 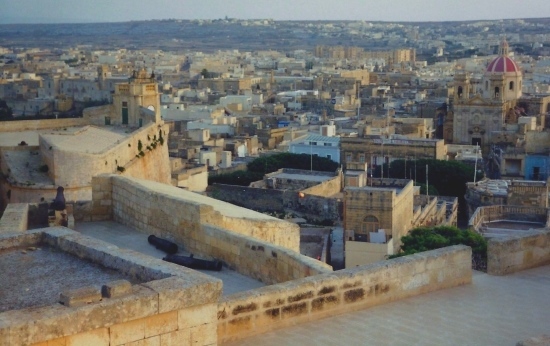 It tells much of the history of the Maltese Islands, which seemed to be mostly an endless story of conquest and defense particularly as a stronghold against the Turkish invasions. The many “brave exploits” against the Turks including things like Knights using the heads of their slain enemies as cannon balls to insult and intimidate their opponents didn’t go over well with my girlfriend who was of Turkish decent. 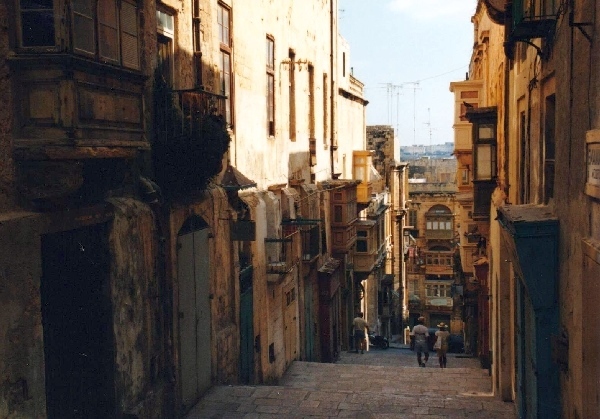 Despite the strong Christian influence in Malta, the local language has strong Phoenician influences thus sharing roots with Arabic, with a lot of Latin based vocabulary due to its proximity to Italy and France. 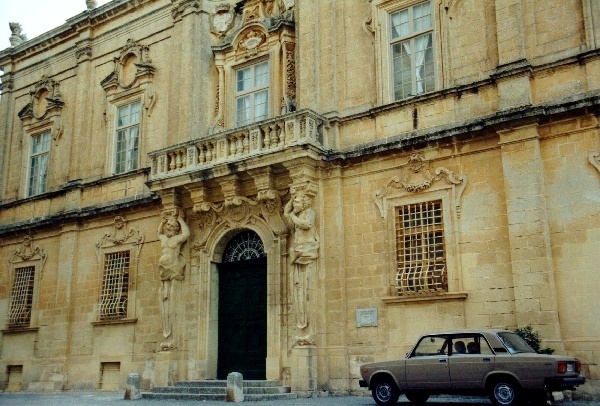 The Maltese word for god is Allah, which must sound strange during a Maltese Christian church service. The other museum we saw was the Museum of Archeology that also had a section about the times of recorded history focusing on battles and armaments which we had already seen enough of but the pre-historic section gave a good overview to some of the ancient sites we later visited. 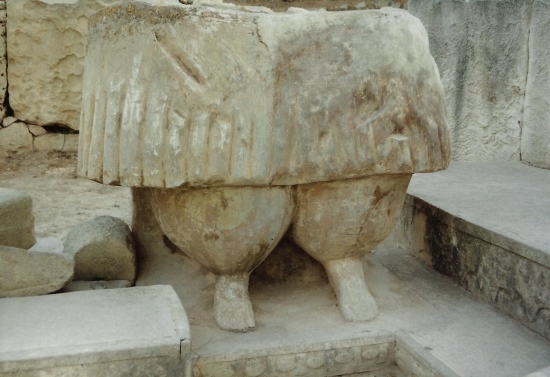 I guess in a perfect world, it would be nice to see the artifacts kept where they were found but due to theft and vandalism it is maybe surprising that they haven’t housed more of them inside. Whatever wasn’t for defense seemed to be religious; cathedrals, churches, convents and monasteries – there was something religious on every other corner. 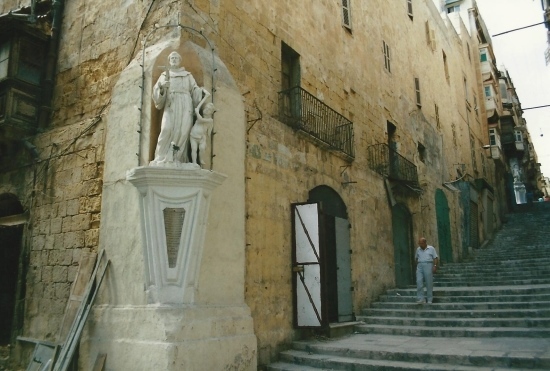 And a corner without a religious building had at least a religious statue! Regardless of how the exteriors looked, and many of the religious buildings were very intricate, the interiors were a riot of fine art with works done by renowned artists like Michelangelo. 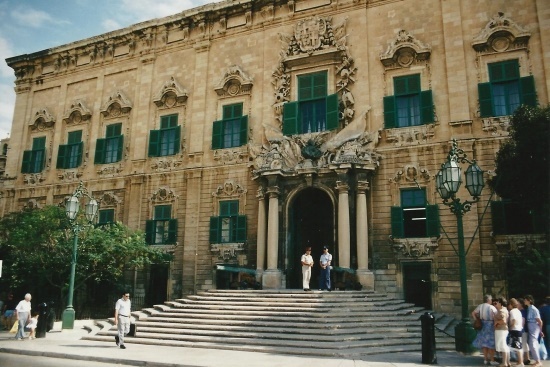 This is the office of the Prime Minister housed in the Auberge de Castille in the center of Valletta. 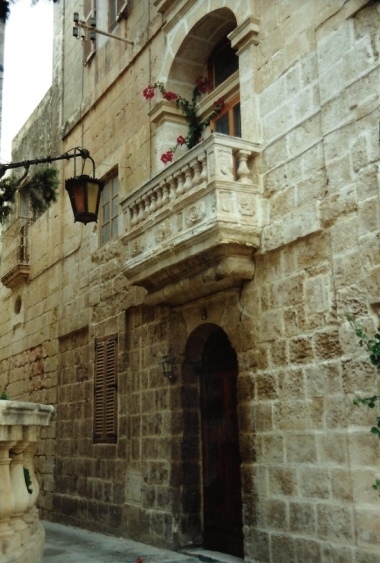 Much of the construction of Valletta was done by the order of the Knights of John which had chapters throughout Europe. To house the knights while in town, they built 7 different locations depending on the nationality and or language and this auberge or hostel was the headquarters of the Castille, Leon and Portugal groups; Castille and Leon being the adjacent kingdoms to Portugal that predated the establishment of Spain. 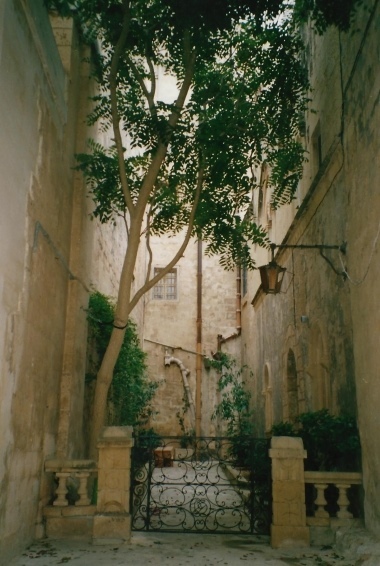 It’s funny how some scrawny trees here and there really add shade and character to the streets of Valletta since it is devoid of parks. 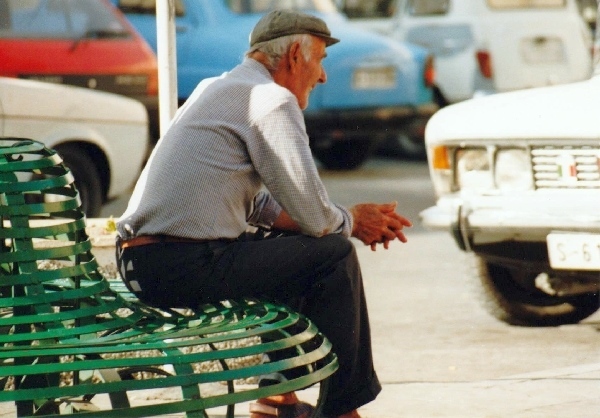 Plazas with benches; sure, but a park with trees and grass – never saw one. Actually the whole island was said to have been virtually deforested 2000 years ago and is a historical case study in ecological degradation. 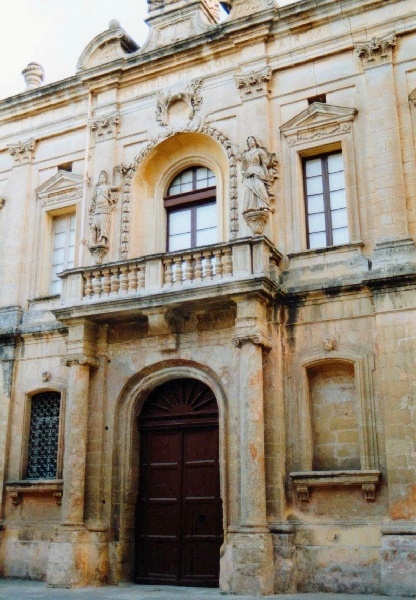 There were other buildings that looked to have been castles or palaces – or were church or cathedral museums. 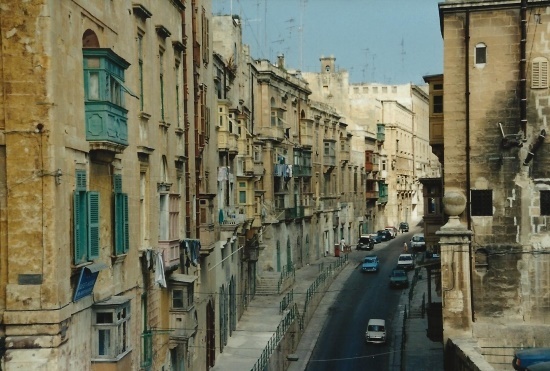 Most of the time in Valletta, we just wandered the streets checking out the pace of life. Nobody tried to pester us to buy things but people tried to short change us at every possible opportunity. The taxi drivers were comically dishonest and the bus drivers would attempt to resell old discarded tickets to the tourists. 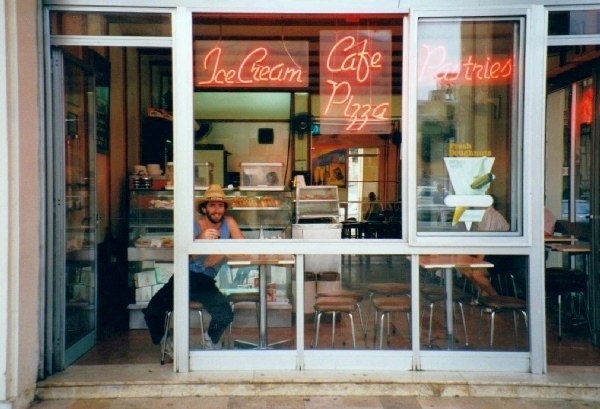 I felt no threat of robbery but the constant little rip-offs throughout the Maltese Islands got annoying. 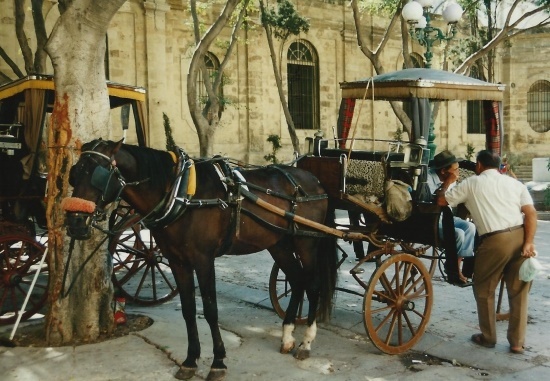 Like many touristy spots, Valletta had horse drawn carriages. For a bit more modern transportation there are cars but many of them were real old timers. 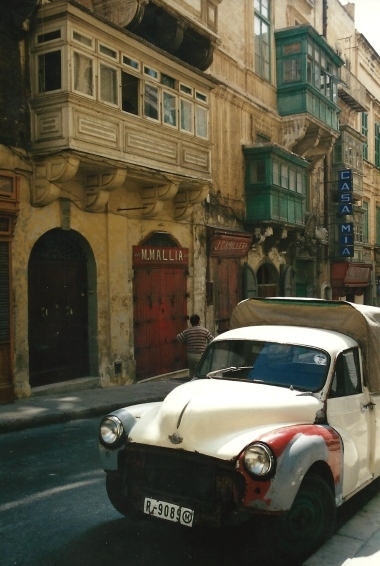 These seemed not to be ones fixed up and kept shiny by old car lovers; they were just vehicles that were never taken out of use and like the pictures I have seen of Havana, driven in perpetuity. 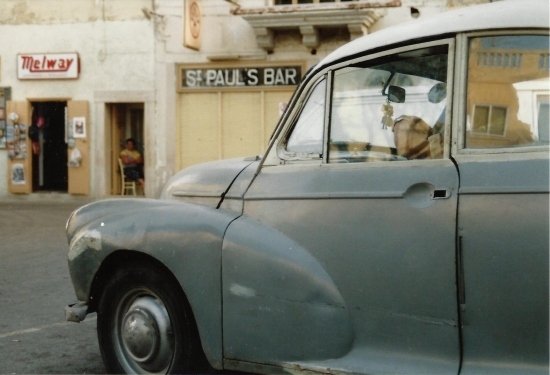 I think St. Paul’s bar should have been allowed to be open every day, as long as you drive to it in your classic car. Shows that one doesn’t necessarily have to choose between drinking and religion if you do them in the same place. I guess the locals don’t have religious qualms about drinking because the only establishments that seemed to outnumber churches were small bars. I think it was Sunday when I took some of these pictures so I guess these guys are praying for the bar to open.The Elvis bar was a typical scene; old men hanging outside of a small bar named after the singer of one of those new-fangled styles of music. 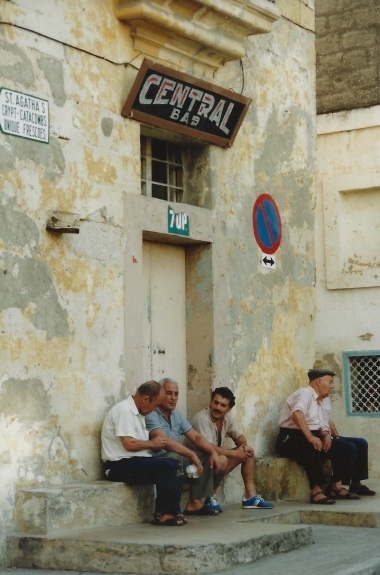 Okay, so all of the old Maltese guys were not hanging out by the bars but they were hanging out. 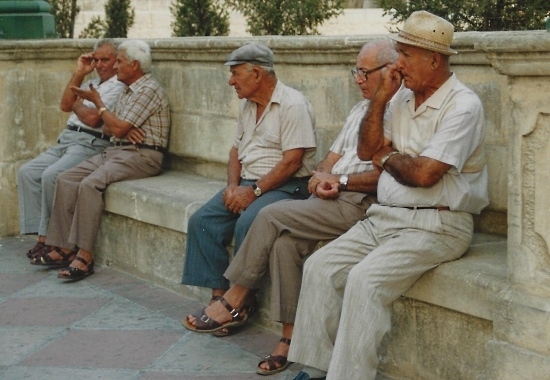 Lots of old men. 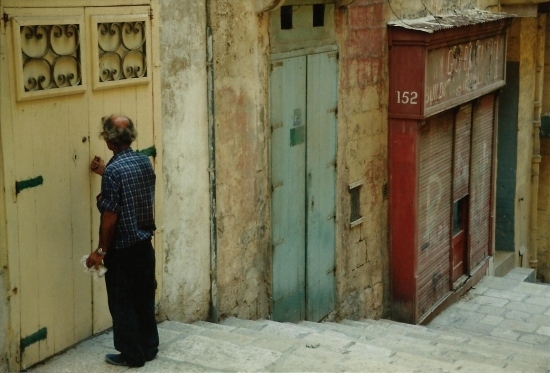 Not many women and virtually no young people making not only the Maltese architecture but the population itself seem like a museum display. One did see school kids but they often seemed to be escorted by middle-aged parents so I’m not sure where the 20 – 35 year old crowd was at. 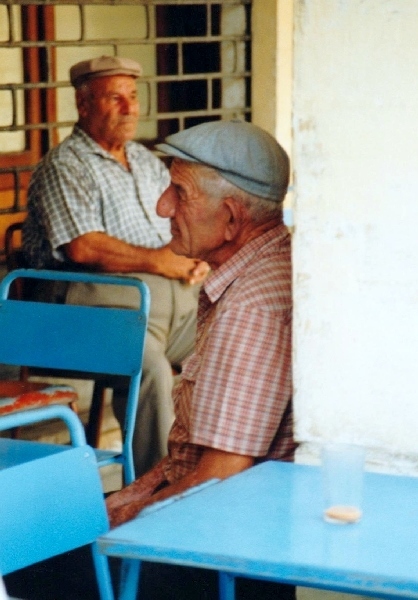 Or maybe they are having kids young and the middle agers are grandparents while the young people work. Hanging out in a cafe myself and reading the newspaper seemed to be the thing to do after strolling around the town. I don’t usually buy souvenir t-shirts but this one with an advertisement for the local glass bottom boat became one of my favorites. Eating was not easy in Malta. 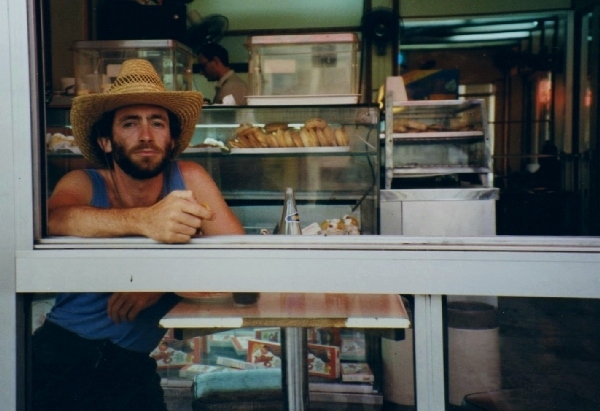 Mostly we ended up in fast food type places and living off of fish and chips and my girlfreind hamburgers. 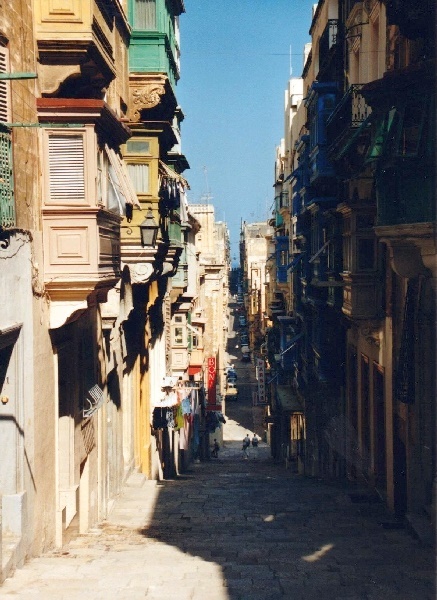 On the main island of Malta we mostly stayed in Valletta but did day trips around to see the sites. 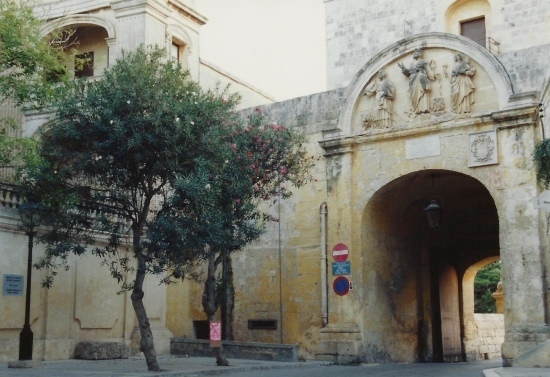 An interesting place was the former capital city of Mdina; the bridge and main gate to the city seen below. 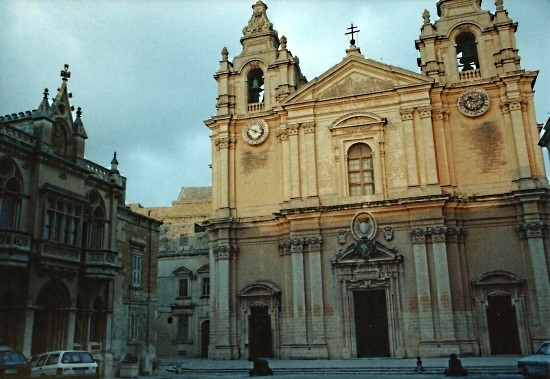 St. Paul’s Cathedral in Mdina is an actual cathedral and not just another big church. 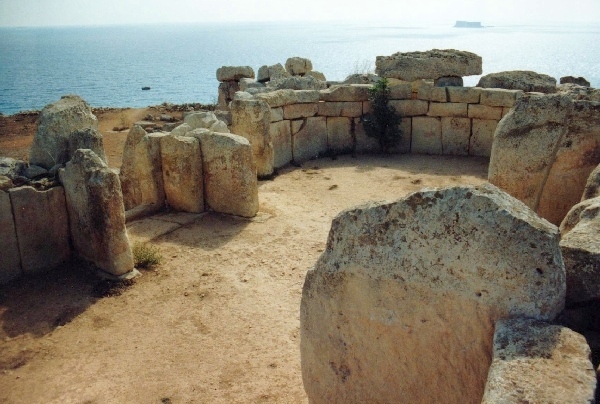 It supposedly marks the spot where St. Paul met Publius, the governor of Malta after being shipwrecked. 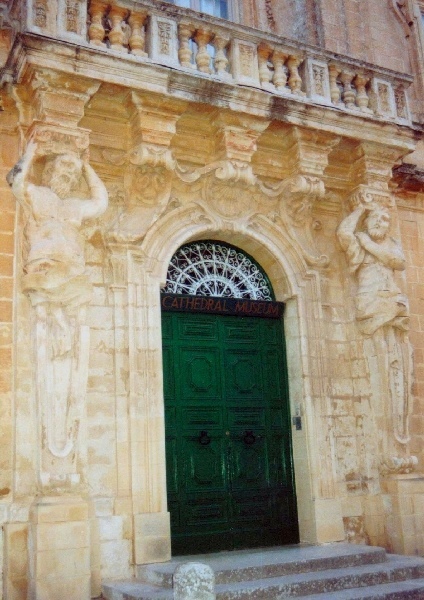 Publius was converted and was later declared a saint as Malta became one of Christianity’s first footholds in Europe as it spread from the Middle East. This sounds like one of those endless claims of an artifact being a bone of some saint or a nail from the cross but actually there is a bible passage in the Acts of the Apostles (Acts 28:7-10) that clearly supports it – and everybody knows it must be so if it’s in the bible. 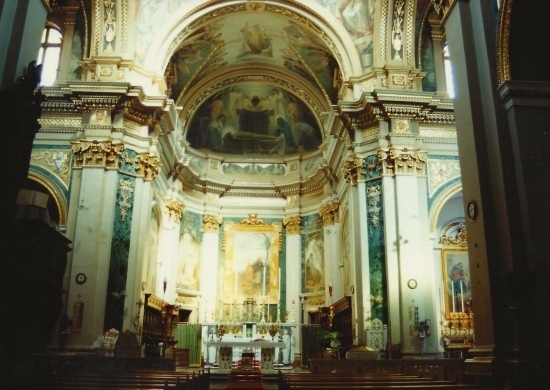 One of the other noteworthy churches outside of Valletta was the Church of the Assumption of Our Lady, commonly known as the Rotunda of Mosta. It is a huge circular building with a single, massive domed roof where a German bomb fell through during WWII and miraculously failed to explode. Living in German, one hears of unexploded bombs being found on a regular basis even today whenever there is a construction project in a city. 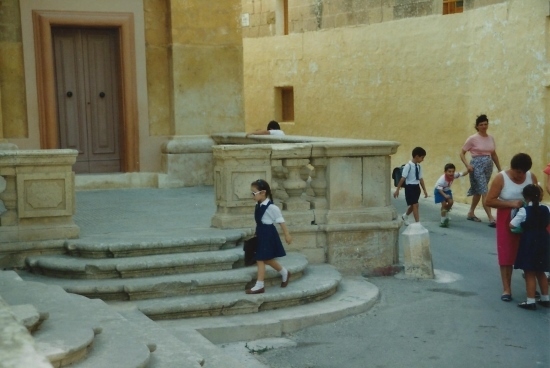 Unfortunately, I left my camera behind when we went to Mosta. 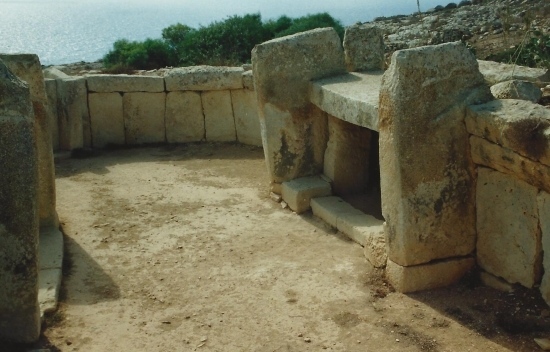 There are many archeological sites on Malta that predate Christianity. 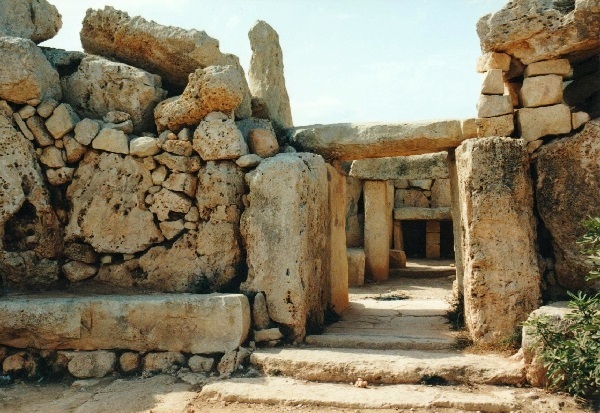 In fact some are claimed to be the oldest buildings in Europe, built even before the pyramids in Egypt. 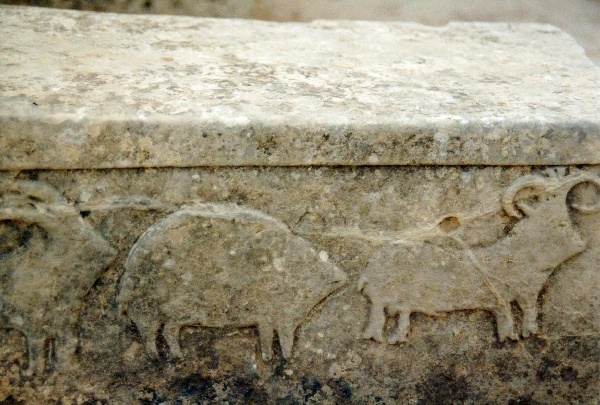 Although there are no signs of written language at these early ruins, the builders left symbols and statues and most are assumed to be temples. 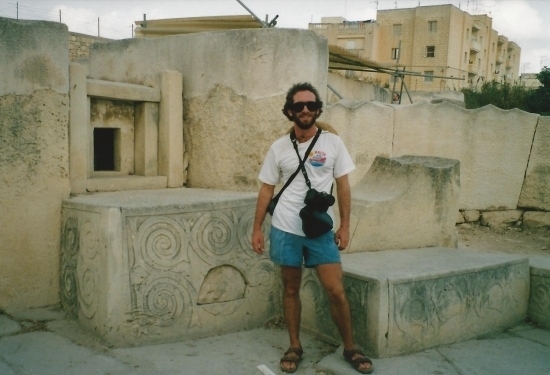 Two of the best known sites are Mnadjra and Tarxien Temples with their many archways, circular symbols and “mother earth” obese female figures. 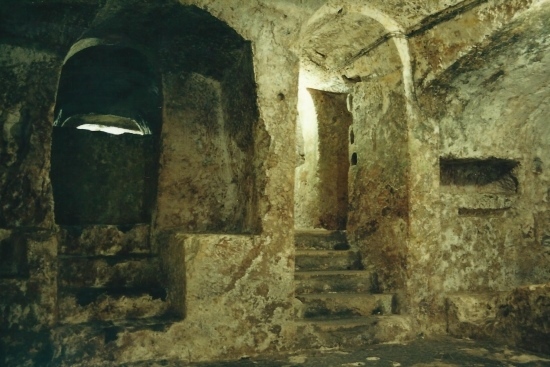 At Saflieni there is a site called The Hypogeum that is an underground maze of natural caves and manmade tunnels that contain a temple and catacombs for a few thousand individuals. People were also said to have taken shelter here in times of invasion; a creepy place to hide but if one gets killed after all, I guess it is an appropriate place to end up. 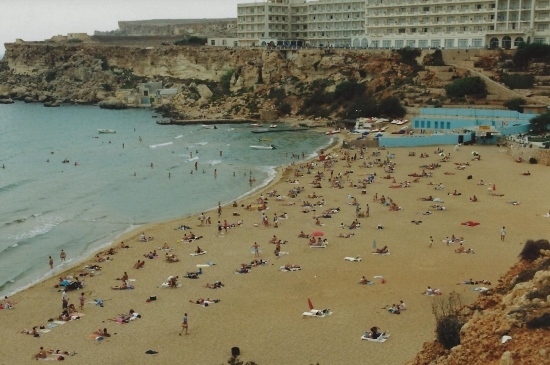 We went to the Golden Bay Beach one day and were totally underwhelmed. It was not especially nice and the water was murky and unclean with pieces of plastic and other garbage floating around. 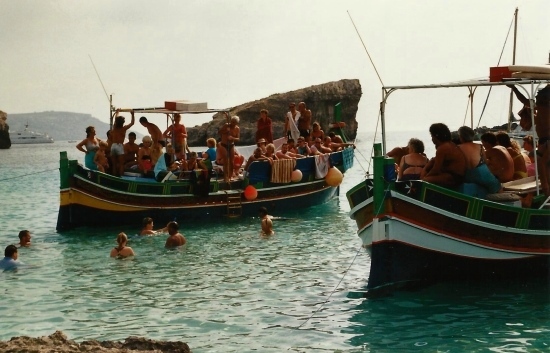 I’m not sure if the water quality has improved since then or if most of the claims about “clean, clear water” at Malta beaches one finds in the internet is just hype. The one end of the beach was dominated by a huge hotel complex that has since been torn down and replaced by a Radisson. 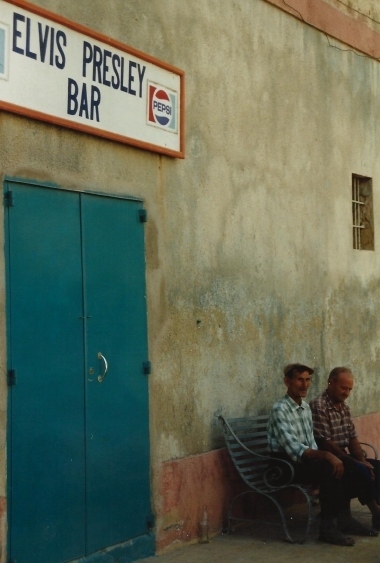 The snack bar offered burgers, chips and cola at inflated prices but then Maltese diet rarely offered more than this anyway. 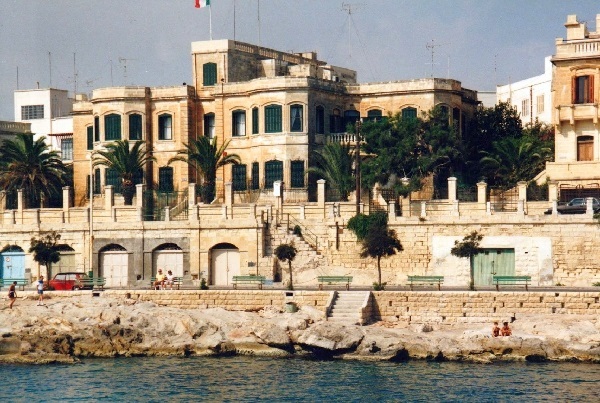 Despite all of the Italian influence, the Maltese seemed to have borrowed their concepts of cuisine from the British as “beans and toast” was the breakfast most offered. 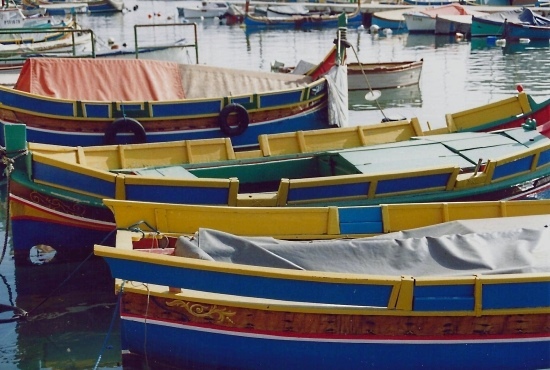 In addition to the main island, the Maltese Islands also include Gozo, which is a short boat ride away. We traveled around spending a couple of nights on the island. The first place we stayed was at an old renovated farmhouse. It was beautiful and spacious but the traffic noise echoed through the place like being on the inside of a drum and we couldn’t bear it for more than one night. The boat we took between the islands was bigger but similar in form to these ones taking tourists swimming. Maybe the water was cleaner than by Valletta or at Golden Bay Beach but it says something when you need a boat to find a good swimming spot on an island. There were also many traditional local fishing boats around. 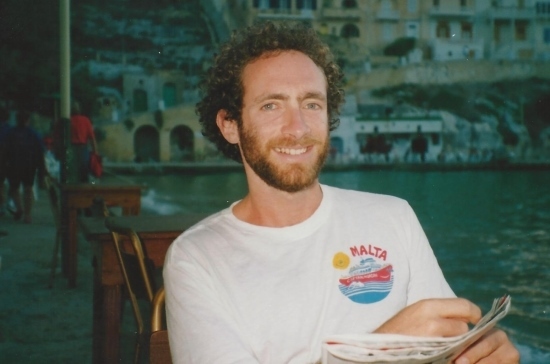 But due to millenniums of fishing, I don’t think there are any unspoiled reefs around and the menus rarely offered more than a fried fish like you would find anywhere in the world. 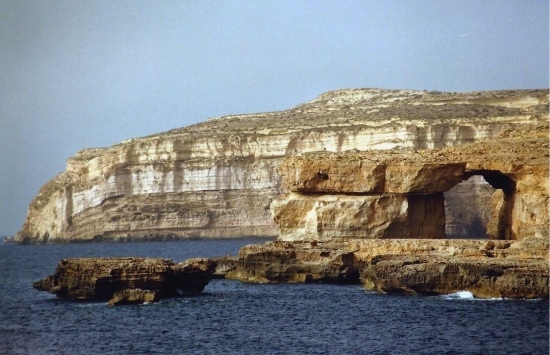 This is one of the more famous icons of Gozo, a large natural archway among the stone cliff shores. 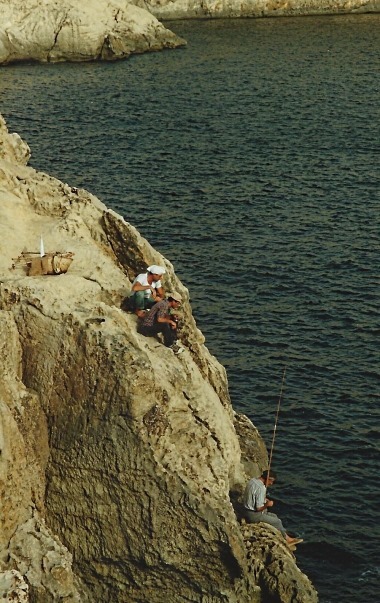 It was not so amazing but the cliffs of the island provided spots for fishermen who might not have a boat. 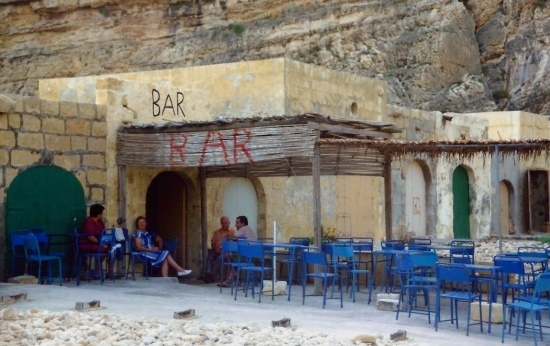 After a hard time of fishing or hiking around the cliffs, there is the inevitable beach bar to relax at. We went somewhere else to eat afterwards and they had a limited selection of vegetarian items. There was rice with tomatoes or rice with peas, so I asked if I couldn’t have rice with tomato and peas. They didn’t seem too friendly about this special request and took their time about fixing it but it was okay in the end. Then the bill came and they accordingly charged me for 2 main dishes. Once again cheated by the Maltese. 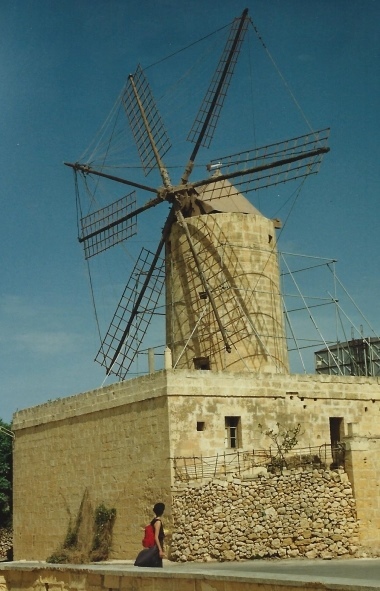 This brings up a critical problem in Malta, the lack of energy resources. With almost no trees and no oil, it is reliant on imports. But it has plenty of sun and wind that would make it an ideal place for renewables. The other thing it lacks is enough fresh water, which is becoming critical. It built the world’s first commercial scale desalination plant and now gets over 75% of its water from the sea. The major problem with even the newest desalination techniques is that they are energy intensive. Thus a switch to renewables would help booster their independence on energy and also guarantee enough fresh water for the future. It will be interesting to see if a country so concerned with its historical past will take the initiatives needed to insure its future.